The life and work of Eileen Chang have come down to us now as the stuff of legend. From her meteoric rise in late Republican Shanghai to her lonely death in Los Angeles, Chang’s life and work remain captivating. Those of you who’ve attended our Tuesday evening film screenings may have heard me talk about hosting an Eileen Chang series for some time. I have to admit that it’s been a struggle. It’s ironic, really because It turns out that Hong Kong filmmakers are enamored with her work. Perhaps it's her pitch-perfect atmospheric descriptions or her sophisticated take on divided loyalties that have inspired these filmmakers to make movies based on her books. There are also several films that she made as a screenwriter both in Shanghai and in Hong Kong that deserves our attention. I’ve been working hard to present something that does her work justice which is why this series will also be part of a larger group of events that will include walks and other happenings. "...the sojourn in Hong Kong enabled her (Chang) to look at her native city from a distance—a crucial factor in developing her sensibility to Shanghainese culture...she shows how she came to really understand the Shanghainese by contrasting them with people from Hong Kong. Much like the present day, in Eileen Chang’s time, these were the two most cosmopolitan and exciting cities in Greater China. Clearly, her time in Hong Kong allowed her to gather much material and inspiration for her subsequent creative writing." The very first short story to emerge from this reflection was "Love in a Fallen City" published in Shanghai in 1942. "Fallen City" really was the start of her "meteoric rise" as written during the wartime. It seems to encapsulate what was to come from Chang in the future. 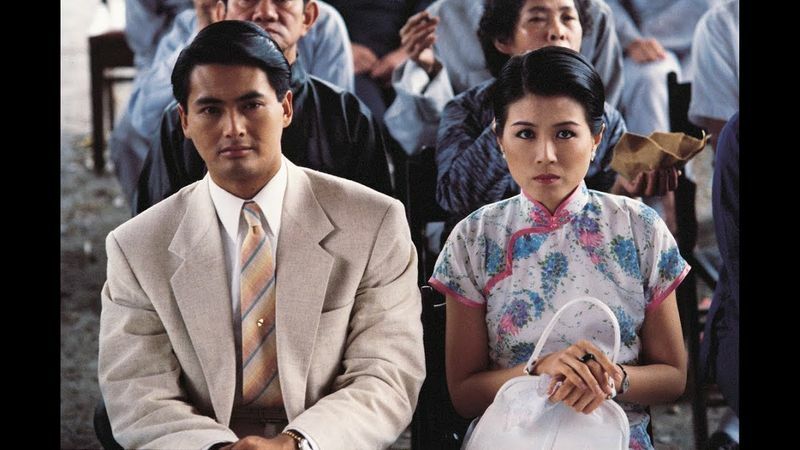 Coming off her Best Director win at the Hong Kong Film Awards for 1983’s "Boat People", Ann Hui was quickly becoming known as a leading voice in Hong Kong’s emerging "New Wave". "Love In A Fallen City" was the first of two Eileen Chang novels which she helmed. The second being "Eighteen Springs"
Come join us for this next instalment of our Eileen Chang Series. © 2019 香港 (HK) Sacred Spaces Society.